It’s time to tackle the floors so arm yourself with a spin mop, twist mop, dust free grass broom and vacuum cleaner. In this article, we’ll be taking on all kinds of floors from wood and tiles to marble and carpets. A vacuum cleaner is a must have for every home that owns a carpet. Getting rid stains may involve specialized and immediate action depending on the nature of the stain but a vacuum is essential to maintain a clean and fresh carpet. It is best to avoid any products that contain abrasives or soap when cleaning laminate flooring as they tend to harm the laminate. Use a dry or damp mop but not dripping wet. We can use a normal cleaning solution or diluted vinegar for a cleansing effect. It is best to avoid hot water and any products that contain abrasives or wax or solvent when cleaning linoleum floors as they tend to harm the flooring. Use a dry or damp mop but not dripping wet. We can use a normal cleaning solution or diluted vinegar or diluted ammonia in small quantities for a cleansing effect. A brush roll vacuum is simply inefficient for cleaning hard surfaces. They should be used for the soft carpets and upholstery instead of tiles and stone floors. Further, it is also advisable to never use a brush roll vacuum cleaner or abrasives when cleaning tiles and stone floors as it may cause scratches or damage to the floors. 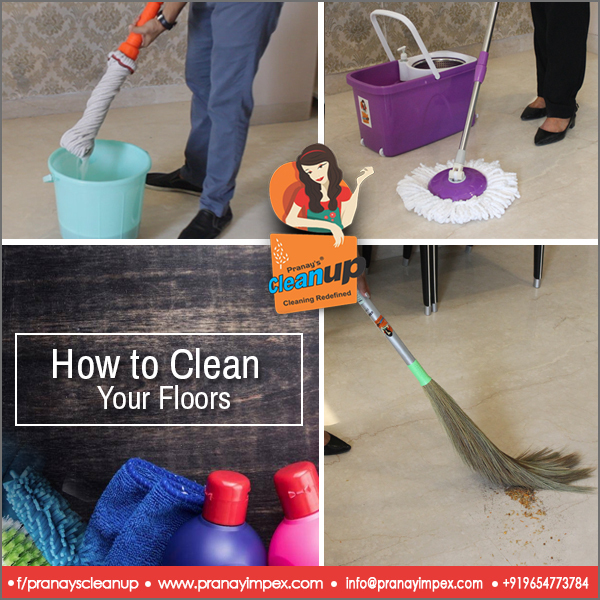 Use a spin mop or twist mop with a soap cleaning solution or bleach to clean your floors safely. There are two types of wood floors, surface sealed and oil sealed. Avoid using very hot water or abrasive cleaners on surface sealed wood floors. It is better to use lukewarm water and soapy cleaning solution or diluted vinegar. On the other hand, for oil sealed wood floors, avoid using products that contain acrylic cleaning products. It is best to use a good quality dust free grass broom and follow with a dry mop or vacuum.